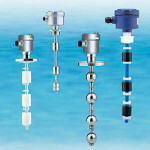 The FA/FB Series is a cable float level switch product line constructed from a variety of chemical resistant materials. 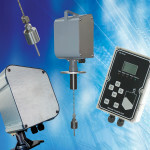 These are durable, low-cost, simple and easy-to-use float level switches equipped with either a microswitch, reed switch or mercury switch output. Categories: Level Switches, Liquids, Slurries. The FA/FB series cable float level switch is designed for single (FA) or multipoint (FB) liquid level switch detection over a wide range of lengths. 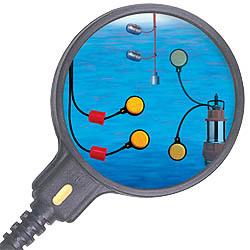 The FA/FB float level switch can provide an “open”, “closed” or “open/closed” contact arrangement when the float angle is greater than its actuation angle (angle varies by float type), as a result of float buoyancy moving the internal steel ball of the float level switch from its normal activation point when the target fluid is present. 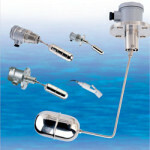 The FC/FD Series is a magnetic float level switch product line. They are top mounted units designed to provide cost-effective multiple switch points using a single entry point into the vessel. 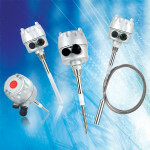 The SCL Series is a capacitance point level sensor used for high, low and intermediate level detection of liquids and dry free-flowing solids. It detects the change in capacitance around the probe of the capacitance point level sensor and provides an output to indicate presence or absence of material. The EE300 Series is an electromechanical inventory level measuring system which uses state-of-the-art third generation weight & cable technology to periodically measure the level of liquid and bulk solid materials held in storage. The EE300 series level measuring system includes the EE300 sensor and available RCU remote control unit or MMS-TL PC-software. The FF Series is a magnetic float level switch specifically designed for mounting on the side of a vessel where float orientation is horizontal. It is suitable for industrial use with a wide range of fluids where the float level switch will operate with fluid density as low as 0.25 S.G..